These step-by-step tutorial videos will help you to make the most of your Equo account. This video will show you, step-by-step, how to upload documents and add event extras to your event on the Equo website. This video will show you, step-by-step, how to use the Equo scheduler to assign start times for your entrants. This Video will show you, step by step, how to use the Equo scheduling tool in order to set up arenas, classes and create times. 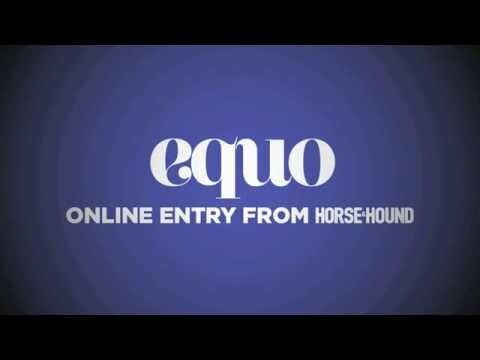 This Video will show you, step by step, how to register with Equo and search for an event. This Video will show you, step by step, how to enter an event on our Equo website. This video will show you, step by step, how to create an event listing on our Equo website. This Video will show you, step by step, how to clone an event on our Equo website. This Video will show you, step by step, how to add classes to your event on our Equo website. These handy step-by-step 'how to' guides will help you to market your Equo event.